Do you need to restore the strength and appearance of your smile? With our range of available restorative services, we can provide you with the attention you need. We offer root canal therapy, dentures and partials, crown and bridges, dental implants, tooth-colored fillings, and more. Don’t let your important dental needs go unmet. Dr. Johnson, Dr. Hamman, or Dr. Walejko can assess your needs and recommend an individualized course of action. We know that your time is limited, which is why we’re happy to offer a number of helpful services that can be completed in just one visit. Thanks to the latest dental technology, we can even perform multiple treatments in one visit so you can spend less time in our office and more time simply enjoying your smile. 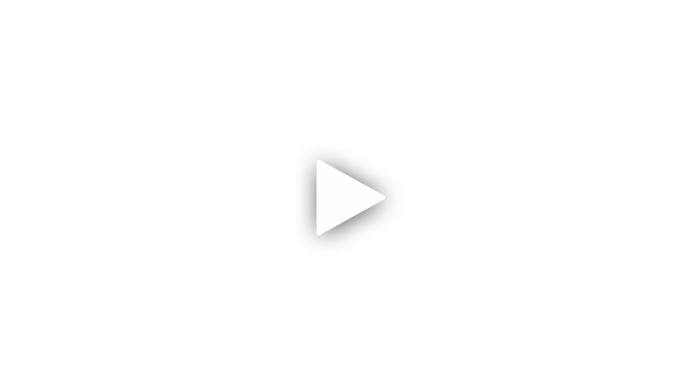 To learn about everything we can do in just one appointment, simply click on the link below. Dental crowns and bridges are two of the most trusted and reliable treatments in all of dentistry. A dental crown can be used to improve a tooth cosmetically or fix a cavity/broken tooth, while a dental bridge is a quick and effective way to replace one or a row of missing teeth. We’ll take the time to ensure your repaired teeth aren’t just strong and durable, but natural-looking and beautiful as well. Typically, it takes two appointments spaced about a week apart for a regular dental practice to repair a tooth using a dental crown. Fortunately, we are not a regular dental practice. 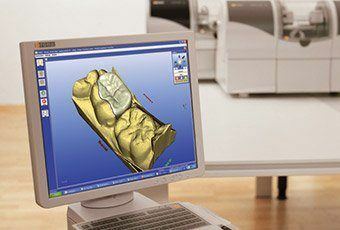 Thanks to our CEREC system, we can design, fabricate, and place a completely custom-made all-porcelain crown in just an hour. With this technology, you get the absolute best when it comes to speed AND quality. To learn how it works, simply click on the link below. 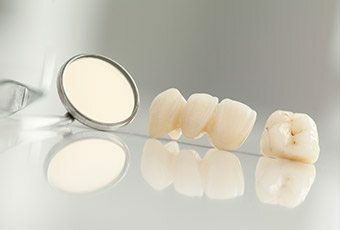 Dentures, in one form or another, have been used for generations to replace multiple missing teeth, and new, modern-day dentures are now smaller, sleeker, and more natural-looking than ever. A partial denture can be used to replace multiple missing teeth throughout your mouth, while a full denture can restore an entire row of teeth. 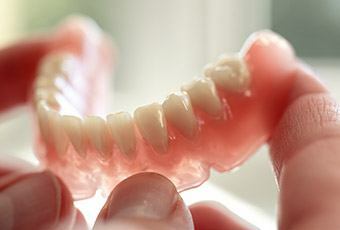 No matter what you need, we’ll make sure you get a denture with the perfect look and fit just for you. A root canal is used to treat teeth that have damage or an infection deep within their innermost chamber where the sensitive nerve resides. 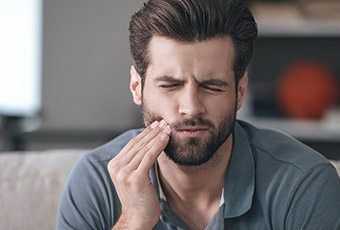 This part of the tooth can be affected by either a longstanding cavity or a traumatic injury, and in either case, this usually causes a tremendous amount of dental pain. Despite its dubious reputation, a root canal is actually no more painful than getting a small filling thanks to modern dental techniques. It’s actually one of the best tools we have to relieve severe dental pain and save teeth that would otherwise need to be removed. When you come in for a root canal, your dentist will start by thoroughly numbing the area. Then, they’ll create a small access hole to the inner part of your tooth, remove the damaged tissue, clean the area, and fill the tooth with a medicated packing. Then, your tooth will be fully restored using a dental crown. 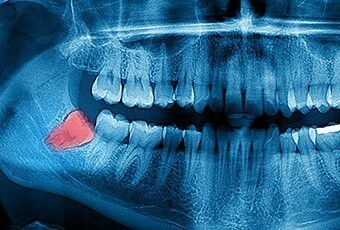 The “wisdom teeth” are actually your third set of molars. They normally start to come in around the ages of 16-25, and unfortunately, they tend to cause quite a few problems when they do. The issue is that the modern human jaw simply doesn’t have enough room to fit these teeth, which is why they end up putting pressure on the neighboring teeth or becoming stuck as they try to erupt. Both of these situations can cause pain, crowding, and even an infection. Typically, the best way to avoid these issues is to extract these teeth. 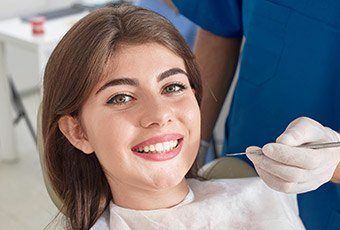 Our practice is able to perform quick and effective wisdom tooth extractions in a single visit, whether they are simple (after the tooth has erupted) or surgical (before the tooth has erupted). You’ll be thoroughly sedated at the beginning of the appointment, and you’ll likely sleep through the entire procedure. If you have damaged or missing teeth, or if you’re currently walking around with any kind of dental pain, our restorative services can give you the relief you need while making sure your smile looks and feels great for decades to come. To schedule an appointment, please contact us today. We are based in Ripon, but we are always happy to accept patients from Ripon, Markesan, Green Lake, Oshkosh, Berlin, Omro, Winneconne, Fond du Lac, Wautoma, Waupun, and the surrounding areas.